Getting involved in a project in Ethiopia offers groups the chance to explore a country of many different cultures, climates and landscapes. Despite its striking resource-rich landscapes, welcoming population and fascinating religion, Ethiopia still faces many problems including poverty, famine and seasonal drought. The country puts a high priority on learning English for those that can access adequate education and so rely heavily on the help of volunteers. This makes this African country a perfect destination for groups of volunteers looking to make a real difference and work on genuinely worthwhile projects. 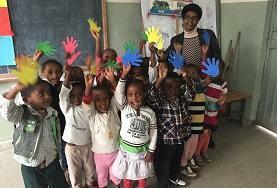 There are a variety of projects for groups to get involved with in Ethiopia including Care & Teaching, Journalism, Medicine, Physiotherapy and School Sports. 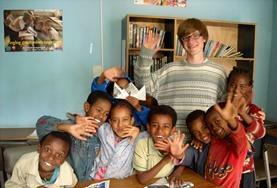 There is also the opportunity to take part in an intensive stand-alone Amharic language course. 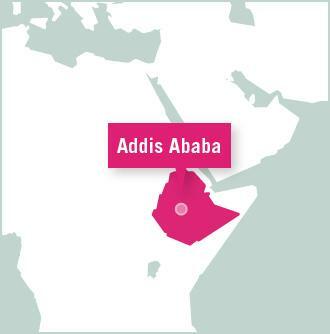 Groups will be located in Addis Ababa; the ever growing capital city that encapsulates both the old and new ways of living. Africa’s fourth largest city is a place full of contrasts; shepherds bring their flocks of sheep to market whilst businessmen are busy making deals, it’s an exciting place to be located when travelling to Ethiopia. Groups will stay in either a local hostel or a hotel to ensure the safety and wellbeing of the group, as well as keeping everyone together to make organising trips and free time easier for everyone. These are also usually located in the heart of the city where there are always things to see and do. Ethiopia is the second most populated country in Africa. It is located in the Horn of Africa and is home to a range of dramatic landscapes. 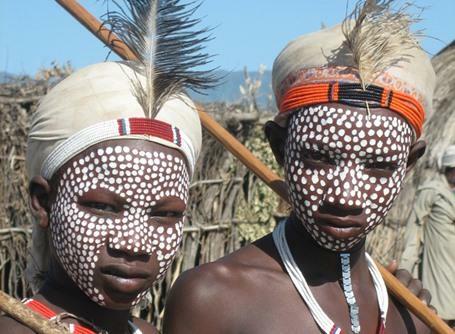 Dozens of rare animals and birds can be spotted in the countries National Park’s whilst remote lowlands provide homes to some of the most captivating tribes. Though English is not the native language, it is the main foreign language so volunteers shouldn’t have any trouble speaking with the locals. The country’s impressive history has left its land laden with historical treasures, like ancient tombs and old castles. 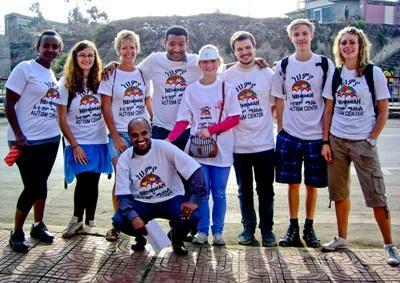 Despite its beauty, Ethiopia is still underdeveloped and volunteer support is needed. Projects Abroad can offer groups this unique opportunity. There are plenty of things for volunteers to do and see on the weekend and in the evenings. Social events include eating out in cultural restaurants where groups have the chance to try some of the local specialties. Whilst you’re entertained with traditional dancing try the spicy butter-fried beef, known as Tibbs, which is famous throughout Ethiopia! If shopping is on the agenda then a visit to Merkato, one of the largest markets in Africa, can’t go a miss. There are also a number of traditional local pubs called tej beats, as well as a cinema screening the latest Hollywood blockbusters. Addis Ababa also contains some of the best museums in Africa, as well as good restaurants, serving some of the most highly-seasoned food that you'll get anywhere on the African continent. For those seeking to get out of the city, the country has some stunning landscapes that can be explored too, like Entoto Mountain, Simien Mountain National Park and Debrezait Crater Lakes. Visits to the Ethnographic museum are also available too, as well as the opportunity to relax at some hot water springs. There is also the opportunity to travel to Lalibela, an area of churches carved straight out of bedrock and used as a site of pilgrimage which is located 2630m above sea level. Despite being one of Ethiopia’s main visitor attractions, the isolated location will make you feel like you’ve travelled a few centuries back in time.